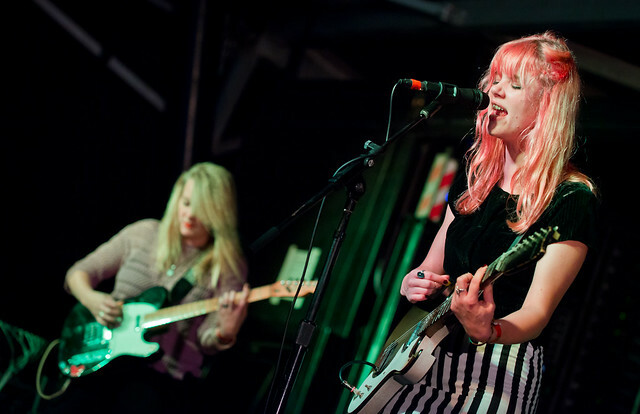 Jessica and Jennifer Clavin of BLEACHED performs at Filter's Culture Collide. "I don't want to see you anymore / You keep on knocking at my door / I told you once, yeah, I told you before / You're a lost cause / Don't work anymore / I know I've seen you before / Are you coming back for more? Will I see you tonight when I open up my heart?" Wrapped in playful melodies, the song is actually a sad tale of heartbreak, singing of a loved who she still has feelings for, who changes during the relationship for the worst and remembering the person she remembered falling in love with.